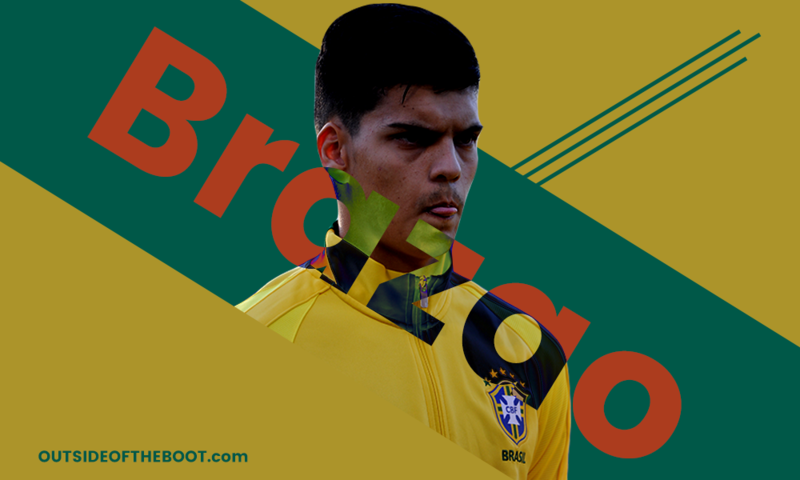 Anderson Moura gets the chance to speak with Gabriel Brazão, Brazil’s U17 World Cup star. 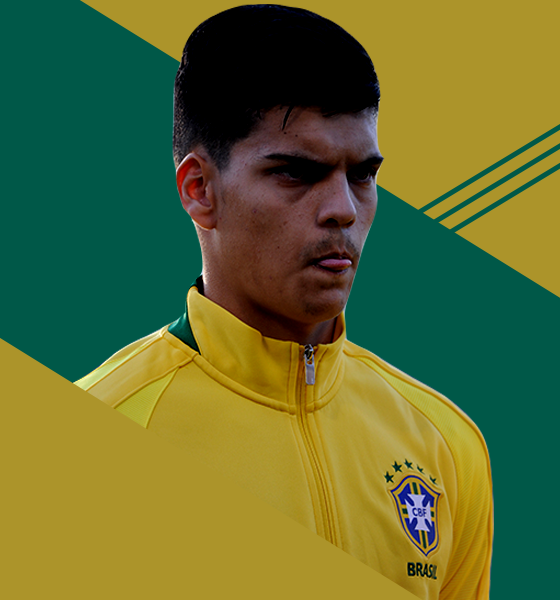 If you did not watch the U17 World Cup and somebody said to you: “the Brazilian Gabriel Brazão was one of the greatest players on the tournament and was also elected the best of his position” you would probably imagine this guy is an offensive player. And there’s no shame in that. This is the world as we know it. But this good surprise actually is a goalkeeper. And one of the good ones. Many probably concludes he is a goalkeeper because of his impressive height for his age (1,91m) but Gabriel showed in India – as he is also is doing with Cruzeiro – that he is much more than that. Having of a couple of daring safes, he is already framing a good path for his tender age. Lincoln and Paulinho did justice to the ‘samba soccer’ style during the tournament, but as on a tripod, things would just fall apart if the third leg was not safe. Safe as Brazão. The 17-year-old boy that thinks about an engineering university in the near future and who showed his well-earned Golden Gloves are as shiny as his heart, after comforting a rival that committed a terrible mistake. Sometimes when one remembers players who received honors and awards so young, they face names that did not succeed in the crazy world of football but this is not likely to happen to Gabriel. 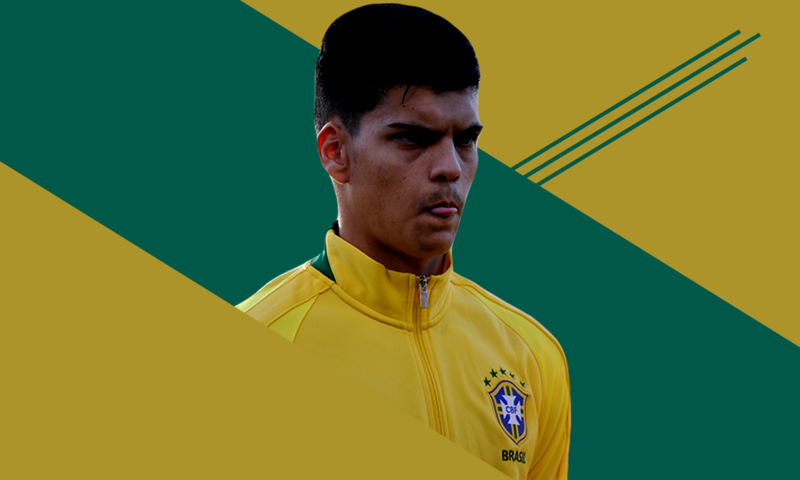 Besides being part of one of the Brazilian teams known for their work with goalkeepers he is also being allegedly scouted by Italian clubs and Arsenal. Can we say that being elected the best goalkeeper in the U17 World Cup is the best moment of your career or is there another moment as special as this one? I’m sure this is the most remarkable moment of my career until now. I’m having a very blessed year, with great exhibitions at great games, and winning titles representing both Cruzeiro and the Brazilian Seleção. You got a number that got everybody’s attention at the World Cup: 29 saves. Can you choose your favorite ones? Definitely the hardest ones were against Spain, the first save I made in the Tournament, a one vs. one against Abel Ruiz, and there was also an important one against Mali, in the end of the game. A slightly deflected long distance shot that I was able to catch. In the match against Mali the rival goalkeeper made a terrible mistake in the first Brazilian goal. Did you speak to him after the game to comfort him? Yes, I did. Just after the match and also at the hotel. I gave him a pair of boots because he had said that unfortunately it is pretty difficult to buy soccer boots and gloves where he lives. So I gave him this gift and had that kind of conversation to make him raise his head up. He is an excellent keeper and had a bad moment, something that can happen with every single keeper. I like to observe him and I learn a lot every time I train with the first team. Of course I have to develop my own style, but I have to absorb the best things he has and try to bring this to me. For me, he is one of the best goalkeepers in Brazil nowadays and also is among the best of our country’s history. At Cruzeiro Youth Academies you are famous for saving penalty kicks. Do you have a notepad or something like that where you record all the penalties taken? No, no (laughs) No notepad. But I’m very happy to highlight myself on these moments and I’m improving to raise even more these numbers. Players who come from futsal usually bring dribbling skills to the field, especially in tight spaces. Besides keeping the possession when they are pressed, as a goalkeeper are there another attributes you brought from futsal? I use a lot of the agility that I had on futsal in soccer. And also the fast reflexes. Even nowadays I stand out because my audacious saves, because I am a keeper who has no fear to throw myself at the ball or at the striker;s feet. A style of save that I used to do in futsal. Usually the keeper is the first one to start training and the last to leave. Is there a way to make this heavy routine lighter or more fun? No, no, there is nothing more fun than the training itself. When I am on the pitch I feel a huge happiness to do what I love. I am happy to start the working session before everyone else and to leave after them. I love the goalkeeper life and it is no sacrifice, just fun all the time. Milan and Benfica have 18 year old goalkeepers in their starting XI (Donnarumma and Svilar). Are these really specific cases or do you feel that, in general, clubs are relying more and more on young keepers? This is the right thing. Independently of the player’s age, if he has enough quality to perform well, he has to be in the starting XI. Today this is an outdated subject. The best ones have to play and they are the best in their clubs. I hope I can do the same as them when the same opportunities come to me. How do you deal with education and school matters? Many players quit their studies to focus exclusive on the playing career, but what are your plans in this area? Cruzeiro gives me everything I need on this. When I finish high school I’m planning to start at university. Business or Engineering. The more we study the better we get on the field, because the cognitive side is something really important in a player’s life. All knowledge is still little. I already speak English and Spanish, and now I am trying to learn Italian. So studies are important for my career and my life. Who are your idols in soccer? Fabio and Buffon. I try to use them as a mirror. Which is the main lesson you learned from the U17 World Cup? The overcoming. We have been through a lot of things, together, and overcoming is the key world. A lesson I will remember for the rest of my life. I suppose you guys plays a lot of video games, so which are your favorite teams to play on FIFA and PES? I play a lot of FIFA. I like to play with Braga, Manchester United, Real Madrid, Juventus and Internazionale. No specific reason. They have a fast team and I like to play with teams like these. My style is based on speed, so when I’m with Braga some of my friends suffer (laughs).